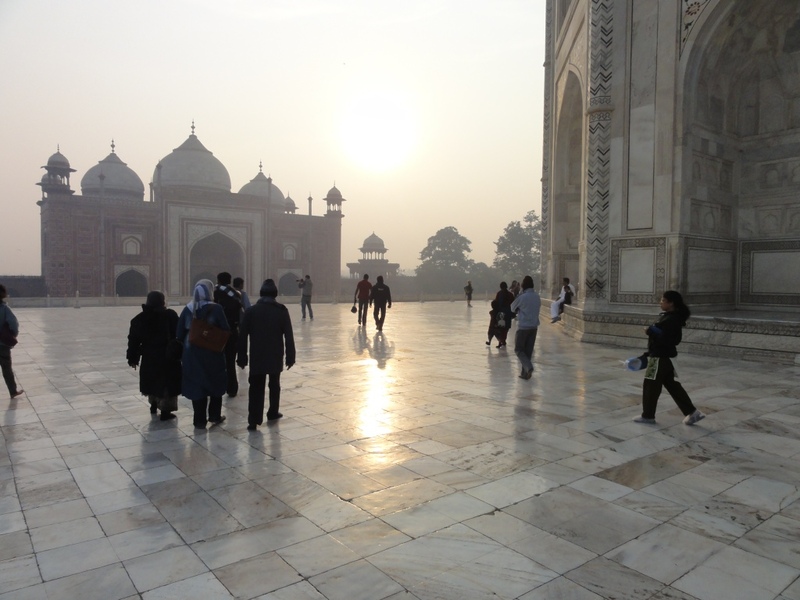 We woke early this morning to see the Taj Mahal at sunrise. Commenced in 1632, by Emperor Shah Jahan as a memorial to his third wife, Mumtaz Mahal, this building has captivated people for centuries. Students strolled through the ornamental gardens and the mausoleum admiring the beauty of the world’s most renowned monument to love. 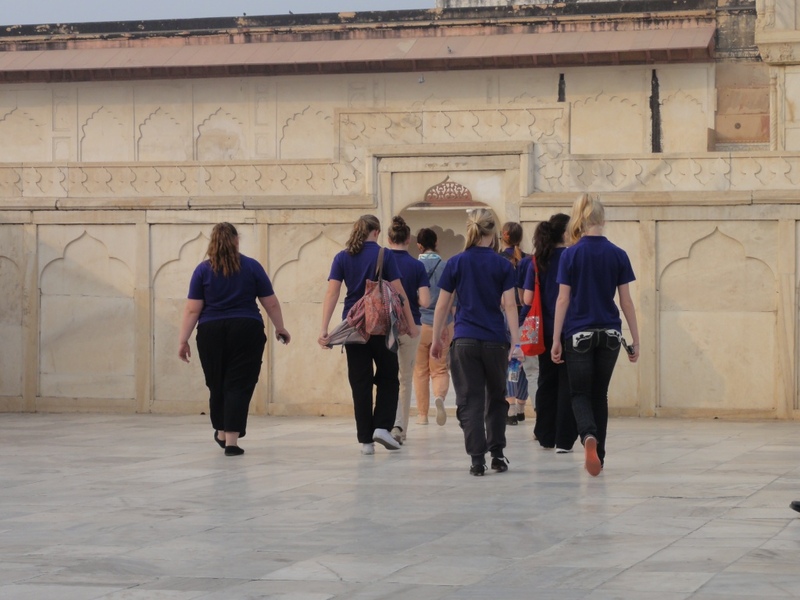 This afternoon, we completed our program with a tour of the Agra Fort, one of the finest Mughal fortifications in India. It has served as a military barracks, a palace and a prison. 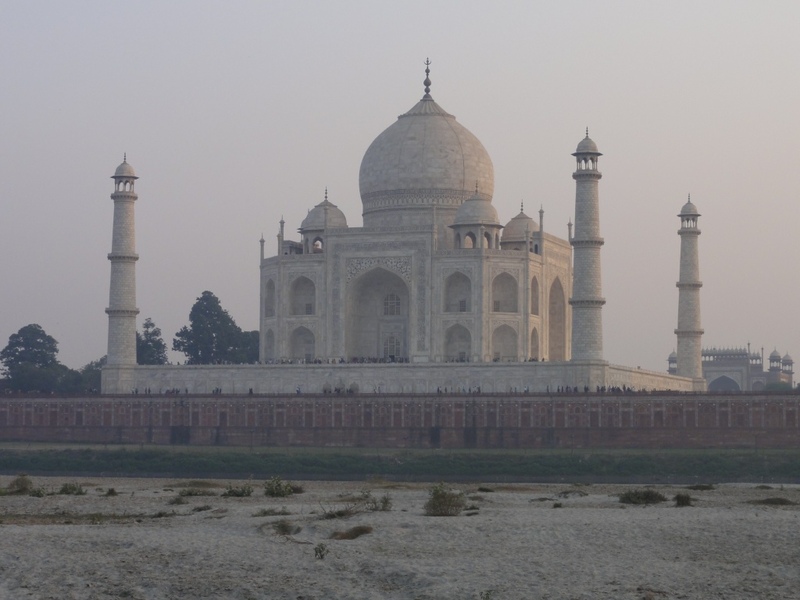 When Shah Jahan was overthrown by his son, he was imprisoned here for eight years until his death. He passed his time gazing upon the Taj Mahal. Tomorrow we start our journey home. We are all looking forward to seeing our families again. 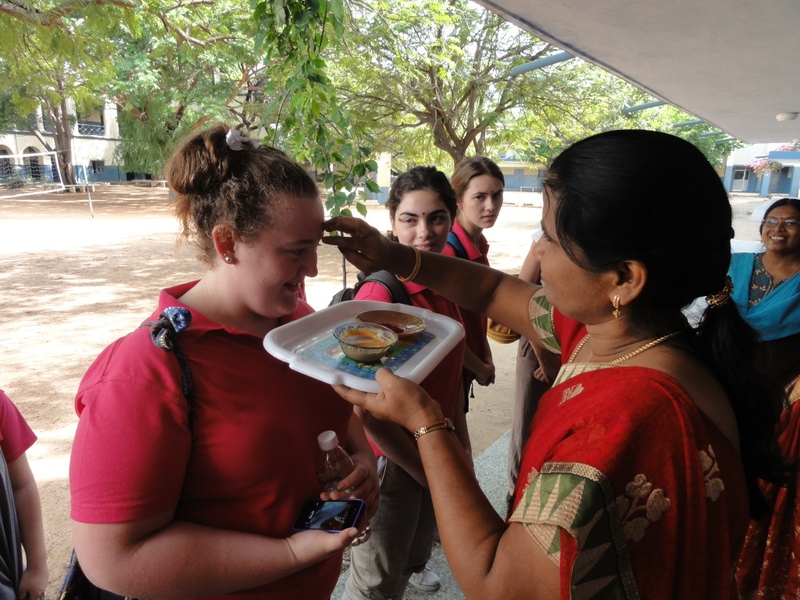 Posted in India Immersion 2012. 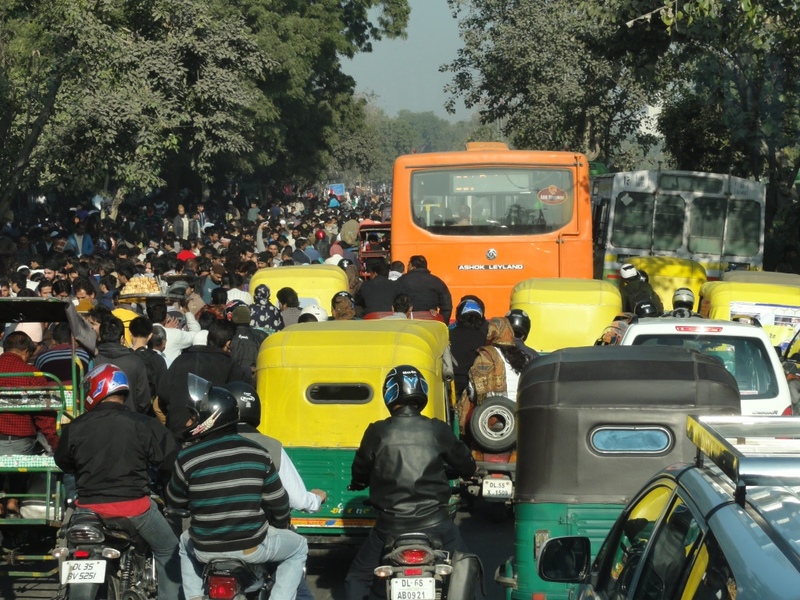 Today we drove from Delhi to Agra, a five hour trip that gave us the opportunity to get some rest. 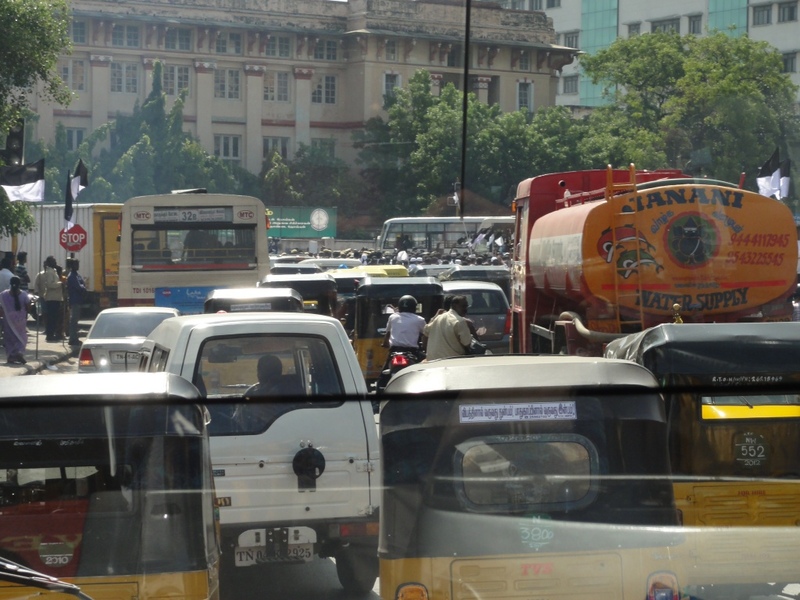 I’m not sure if we feel any better for it as travel in India is not all smooth, expansive highways. To make things worse, our driver seems to be fond of both the accelerator and the brake! 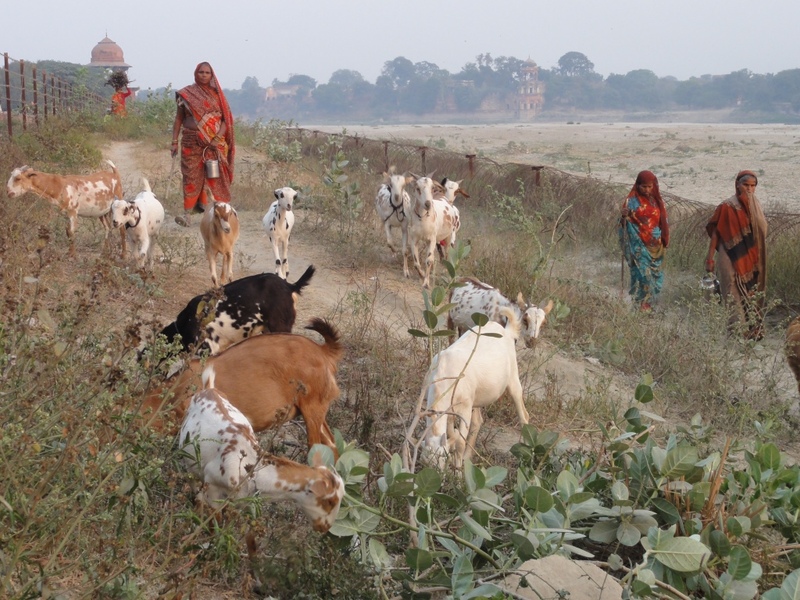 After an Indian lunch and hotel check-in, we travelled to the banks of the Yamuna River to view the Taj Mahal at sunset. It is an impressive building but we will tell you more about it tomorrow. 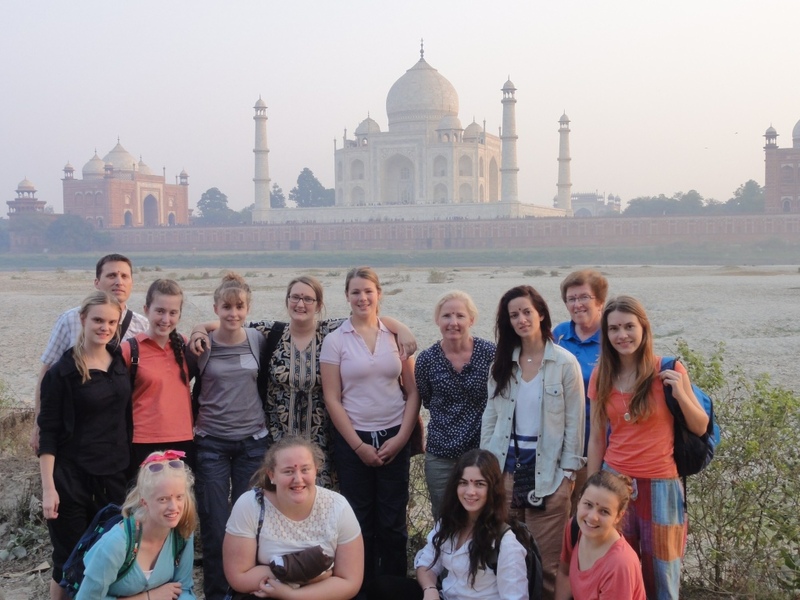 We will be up at 5.45am to view the Taj Mahal at sunrise and complete our tour of the precinct. 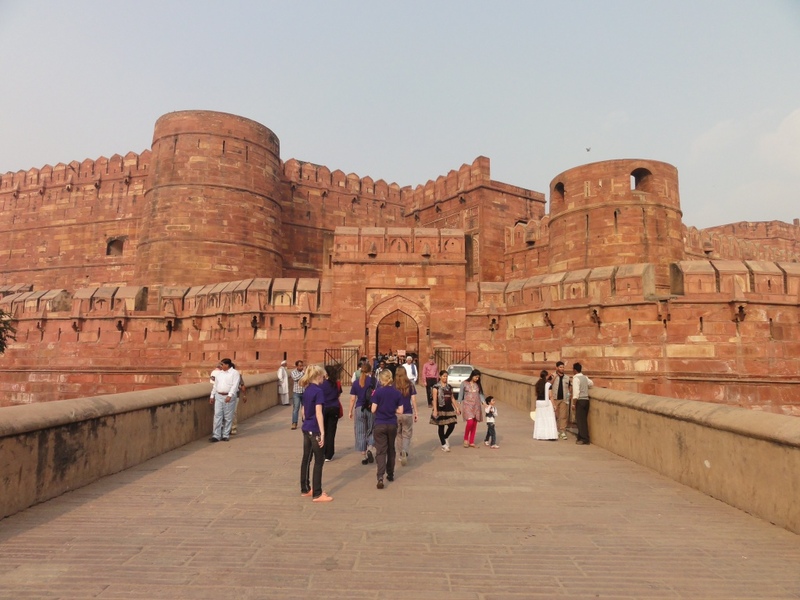 At some stage we will visit the Agra Fort (either tomorrow afternoon or prior to our departure on Wednesday). Best wishes to our family and friends back home. Not long now! 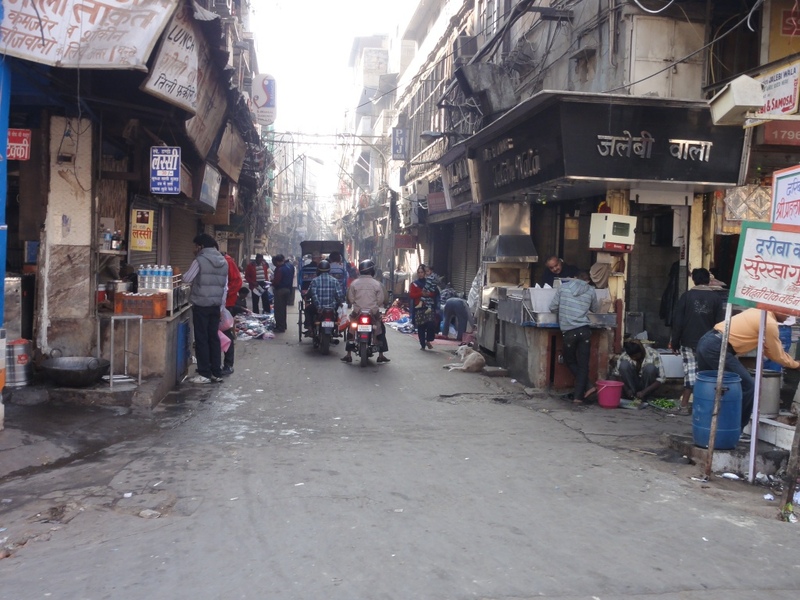 Today we explored the city of Delhi starting with the Jama Masjid (Friday Mosque) and a rickshaw ride through Chandni Chowk (Moonlight Place), an eclectic bazaar in Old Delhi. The Sunday market and tourist traffic created chaos and we still don’t understand how our bus managed to negotiate the narrow lane ways. 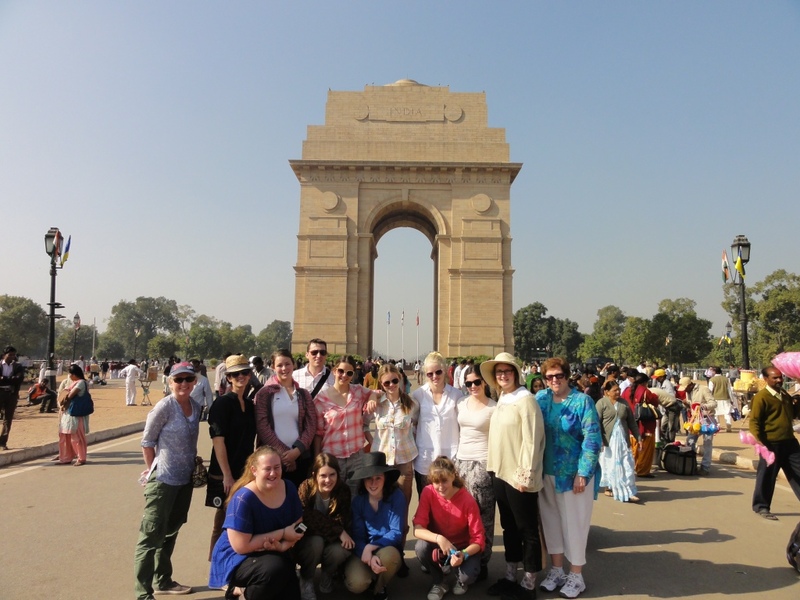 Our city tour continued with a drive through New Delhi and a visit to India Gate, a forty-two metre high stone memorial to the approximately 90 000 Indian soldiers who died during World War I. 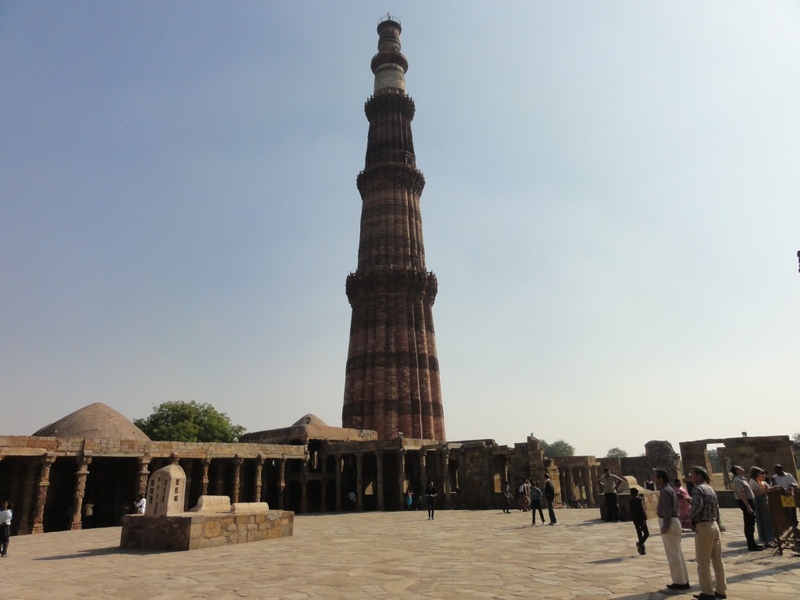 On the recommendation of our guide, we spent some time at Qutb Minar (Tower of Victory) that tells the story of Islamic rule in India. 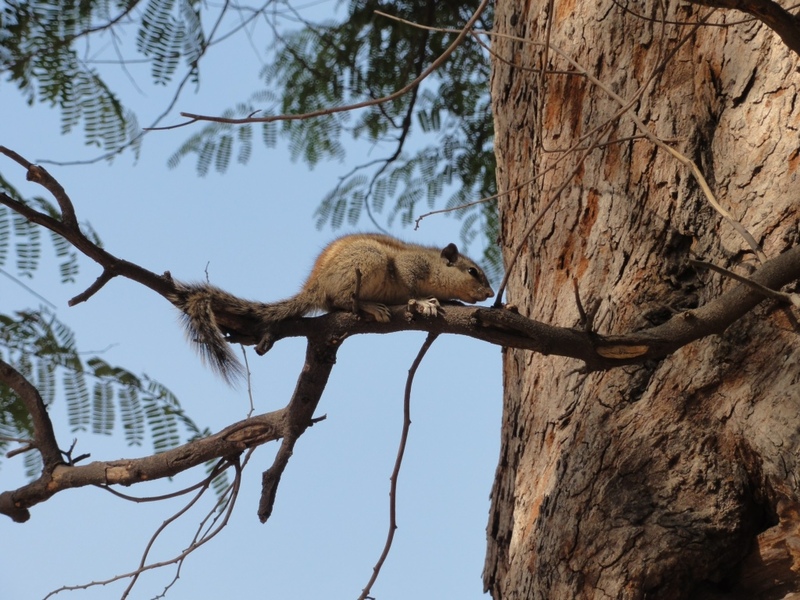 While the architecture was impressive, the tranquility of the place was most compelling (so much so that a dray of squirrels have made it their home!). We will definitely add this to the itinerary in future. Our final stop was Gandhi Smriti, the memorial established on the site of Gandhi’s assassination in 1948. As you may imagine, this site is particularly poignant and a wonderful tribute to one of the 20th Century’s greatest leaders. 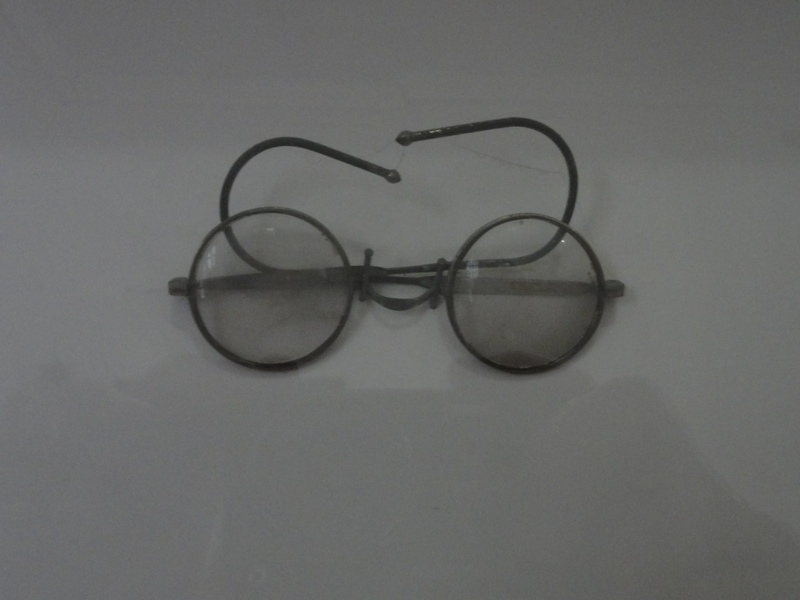 Gandhi’s life and philosophy were represented through his words, eyewitness accounts and art. 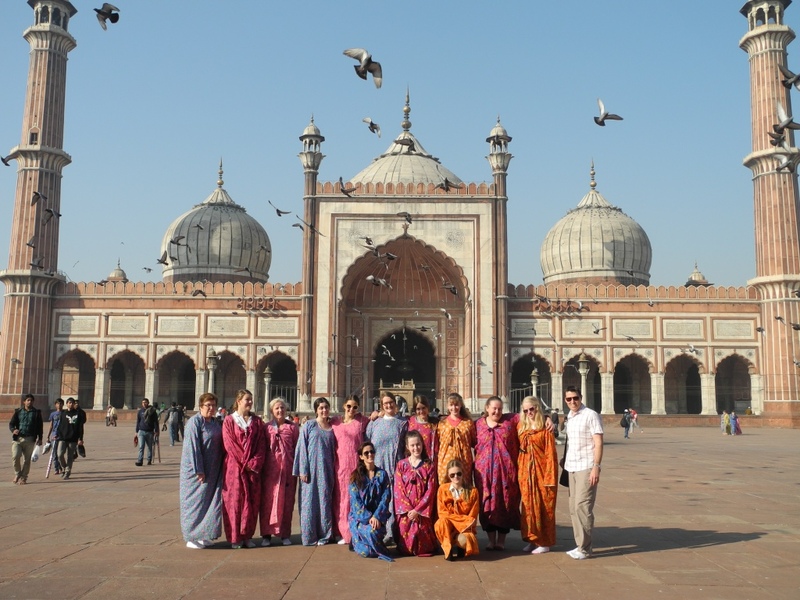 Tomorrow we will travel to Agra, the last stop in our two week program. The five hour bus trip will offer the students a good opportunity to rest before the flight home. 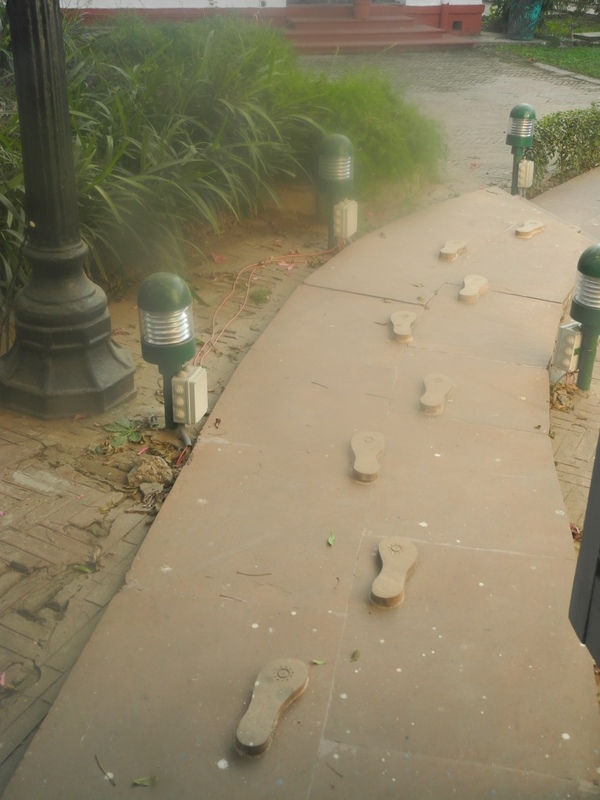 We have made it to New Delhi and have wi-fi! 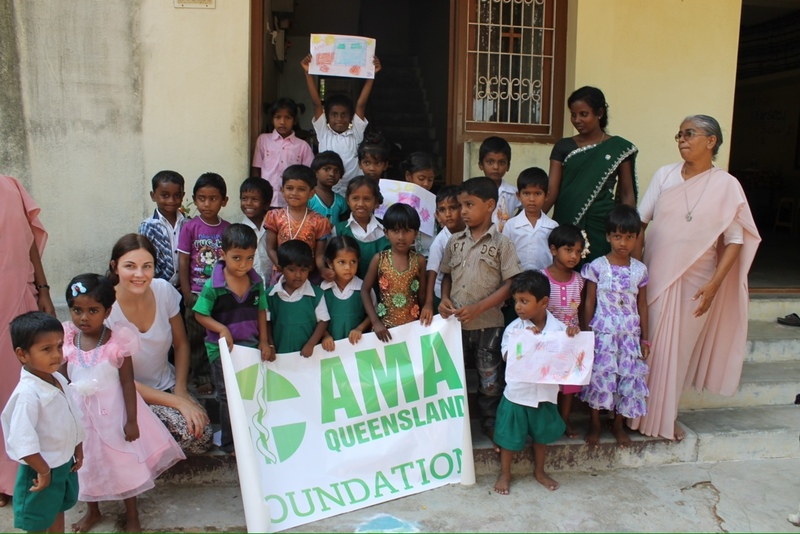 The past two days have offered us the opportunity to extend our participation in the ministries of the Presentation Sisters in Chennai with our visit to the Nano Nagle Nursery School in Kanakamma Chatram. The change of name from ‘Play School’ to ‘Nursery School’ reflects the school’s evolving purpose. 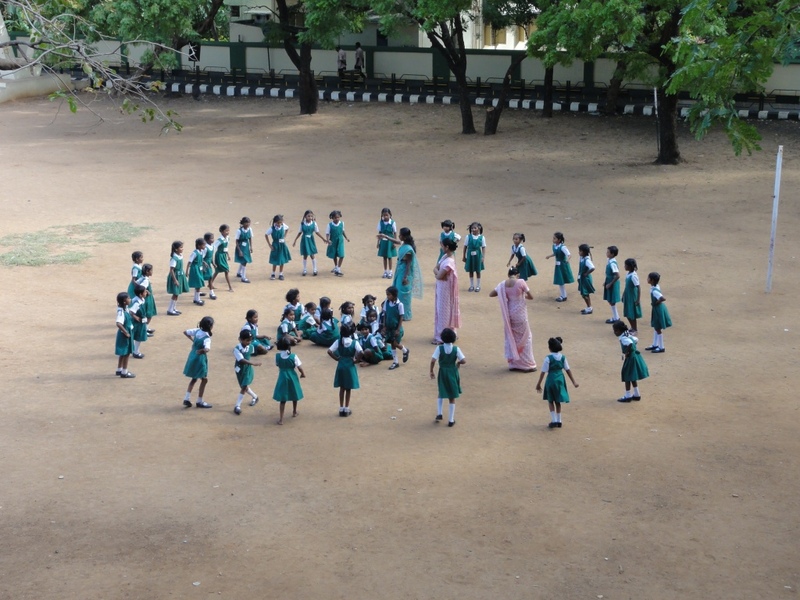 As the children get older, the school will grow to offer early childhood education up to Standard III. 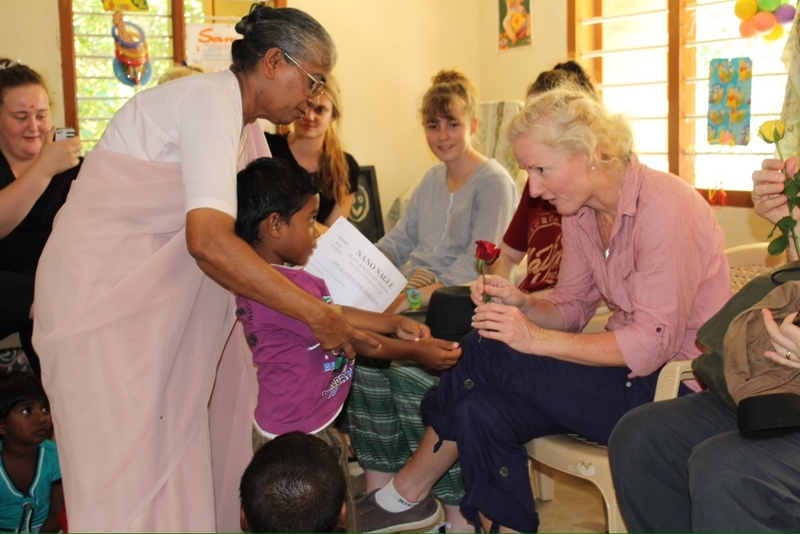 The Sisters have continued to ensure that our immersion experience is enriching. 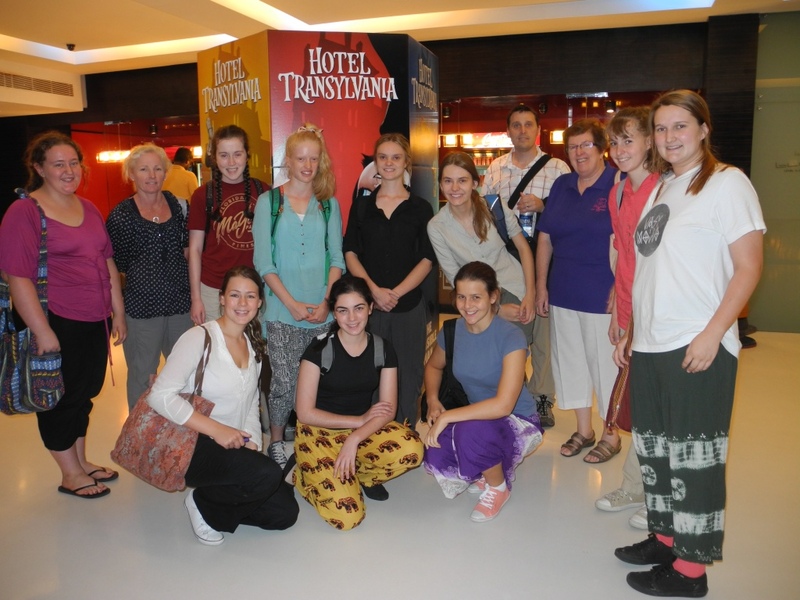 Sr Jacinta organised a beautiful welcome for us which included performances by the students and the women’s group. 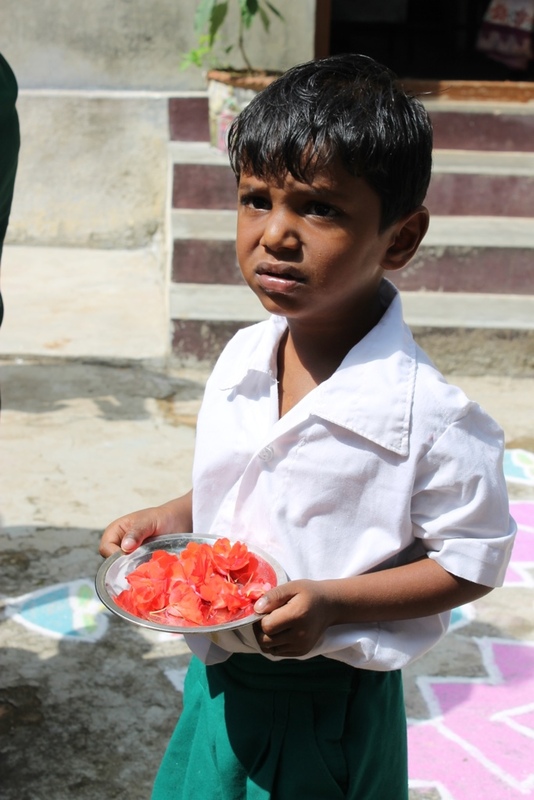 The meals they prepared were beautiful and sensitive to our plain tastes! The day contained a number of highlights. Sr Jacinta took us for a walk through the village so that we could better understand the life of the people to whom they minister. 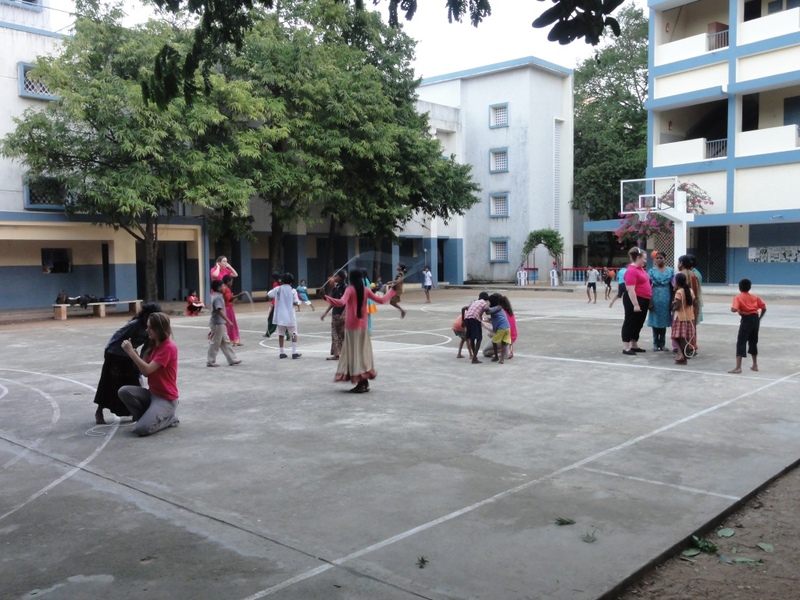 Our students facilitated activities for children from the Nano Nagle Nursery School and the evening education program. The students also had the opportunity to thank the AMAQ Foundation for their generous donation of a bus to assist them to travel to and from school each day. 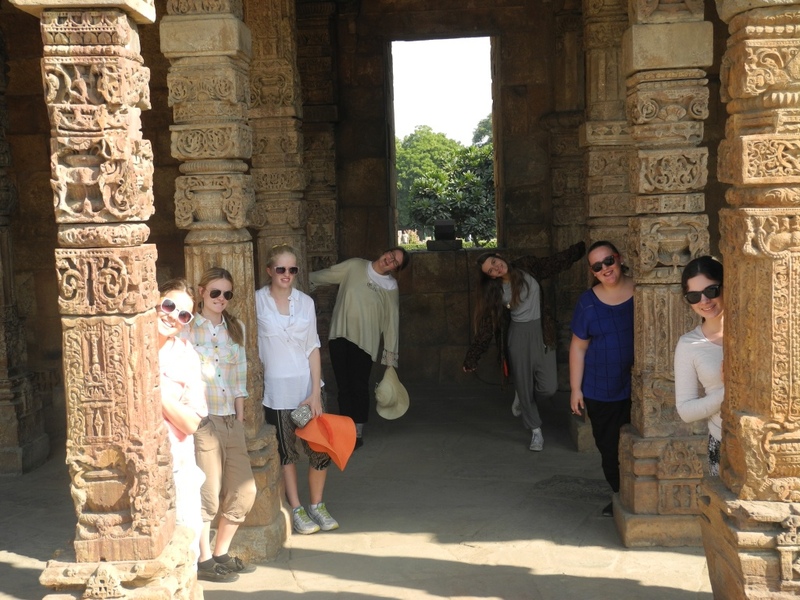 It was a pleasure to have Sarah Miller (Year 12, 2011) accompany us for this part of the immersion. Finally, we attended a bilingual Mass (Tamil and English) in the village church. It was a wonderful experience. Our hotel in Delhi is a far cry from our very humble lodgings in the presbytery in Kanakamma Chatram last night. Our thanks to Sr Josie from St Aloysius for arranging our accommodation in the village and to Father Roy for hosting us so graciously. 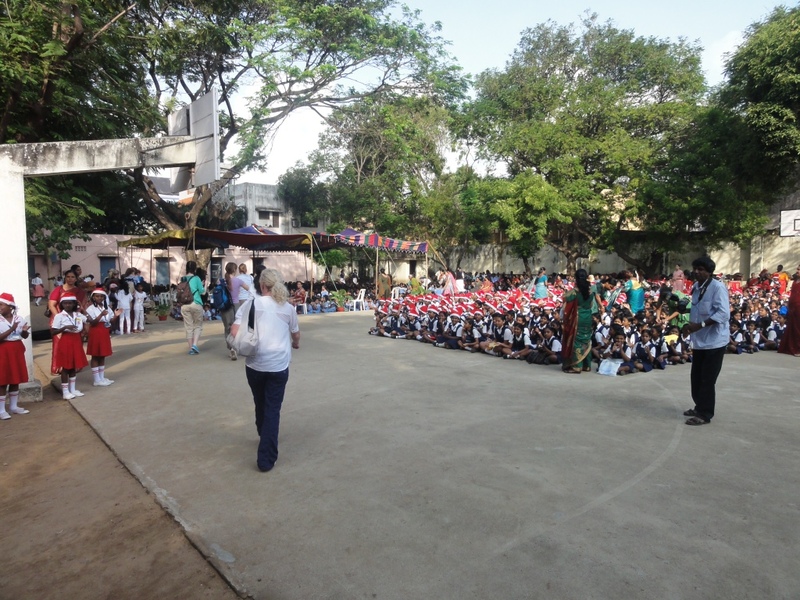 On our last day in Chennai, we returned to St Aloysius School for their end-of-term Christmas assembly. 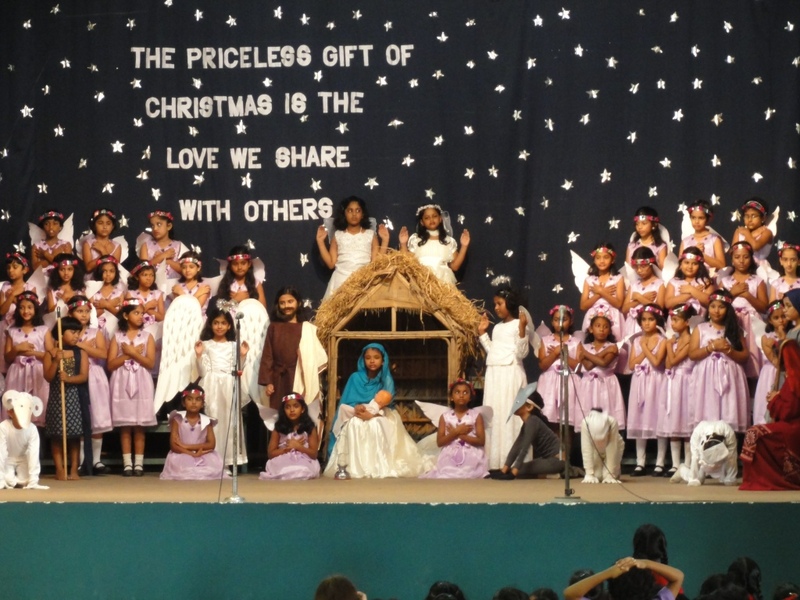 Each year level presented an item and Standard III performed the Christmas play. The key message of the play was that the greatest gift we can receive at Christmas is Jesus Christ – Immanuel, God is with us – and the greatest that we can give is goodwill to all people. The Sisters hosted our final morning tea and wished us well for our onward voyage. With time to spare before lunch, we visited the wholesale markets to purchase supplies for the Nano Nagle Play School: crayons, coloured pencils, erasers, sharpeners and colouring-in books. It was a good adventure that took us through a political rally for the local Islamist party. There was a bit of argy-bargy and plenty of police. The television crews were there too. Not something you see everyday! Students are now packed and ready for our departure from the hotel. We will spend tomorrow afternoon at the Play School and the evening in the village. 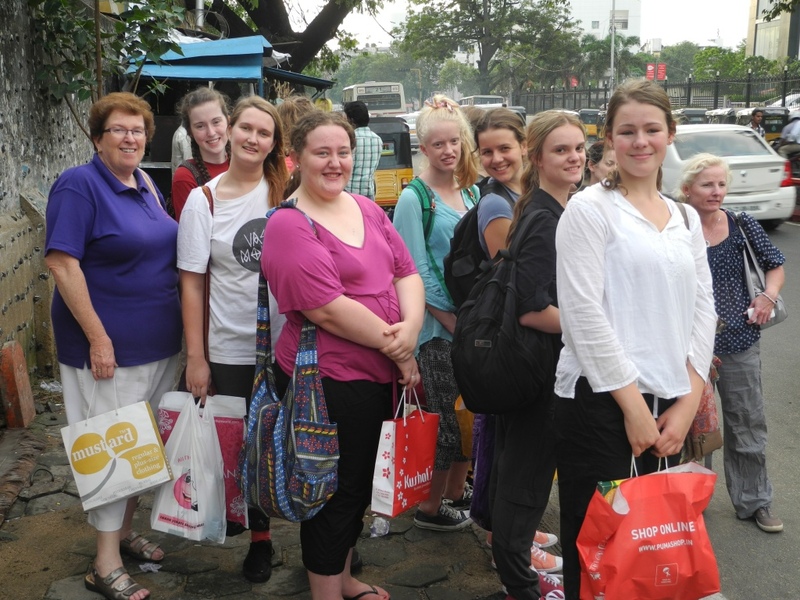 On Saturday we will return to Chennai airport for our afternoon flight to Delhi. Not long to go before we head home! Our best wishes are with the teachers at St Rita’s who will commence holidays from tomorrow. May the summer vacation bring them rest. A happy and safe Christmas to all. Today we visited the Presentation schools in the Church Park precinct. 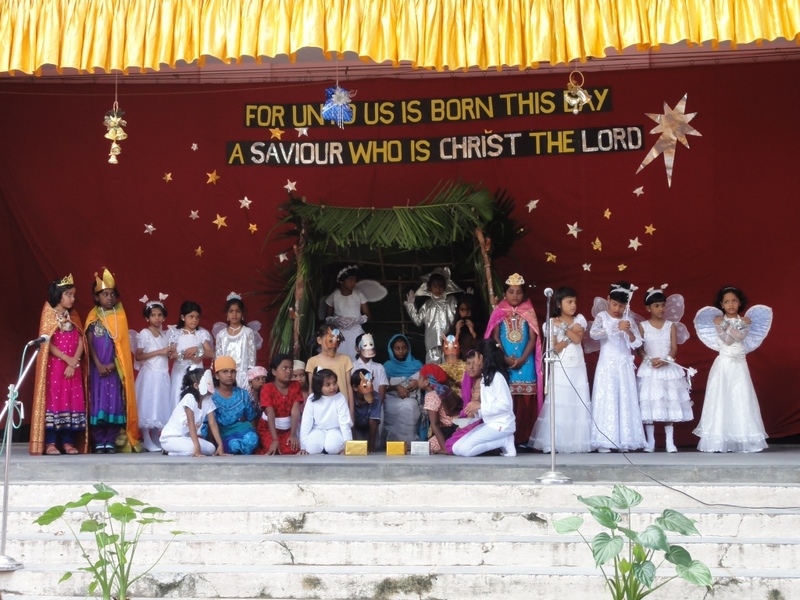 The day commenced with a Christmas assembly at Sacred Heart School. We then visited three classes at St Ursula’s which gave the students an opportunity to talk about their respective cultures. 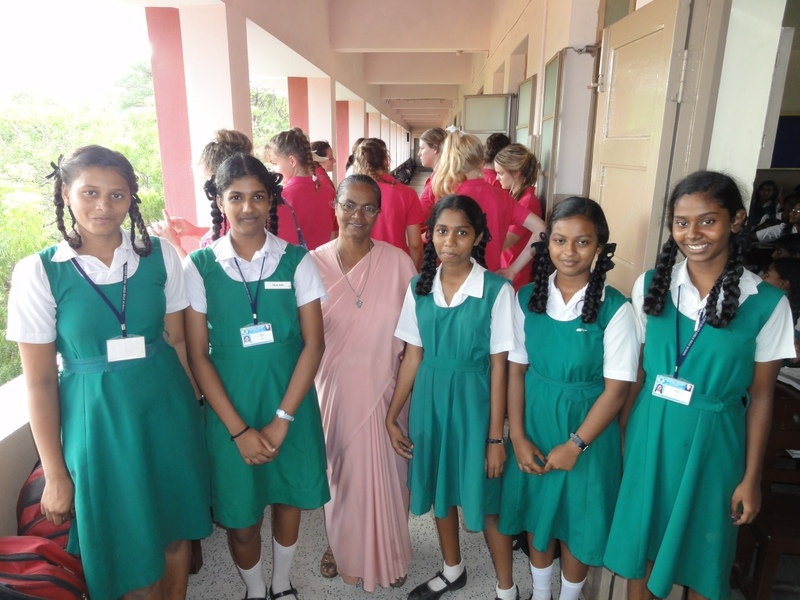 After lunch we were welcomed to the Tamil School by Sr Celine. She is a charismatic woman who has dedicated her life to serving her students who come from significantly disadvantaged backgrounds. Her dream is to build four additional classrooms to give the students in X Standard the opportunity to complete their secondary education at the Tamil School. At present, the students must attend other schools as, unfortunately, due to class prejudices, they will not attend the senior schools at Church Park. Sr Celine sees that the provision of such an opportunity would be a living witness to the example of Nano Nagle. After joining the Sisters for afternoon tea, the students spent the afternoon playing with the students who attend the evening tuition program at St Ursula’s. 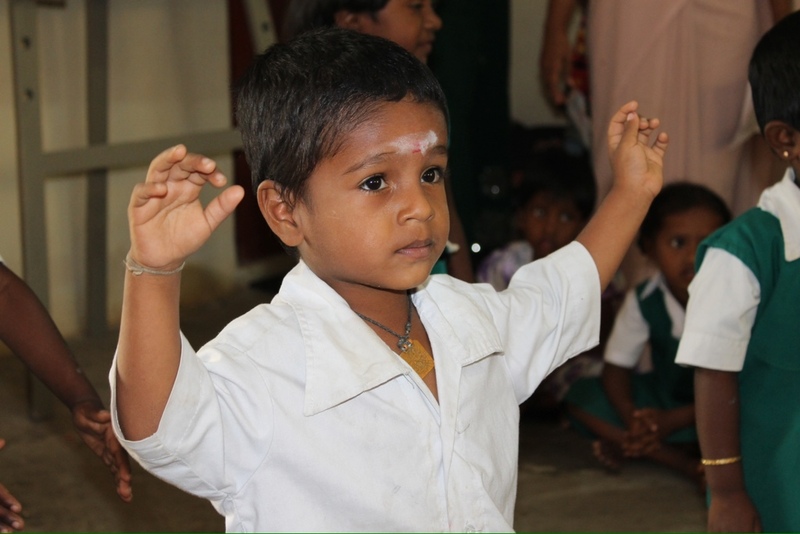 These children represent another level of the poor in Chennai. The cyclone that formed off the coast a few days ago dumped a lot of rain on Chennai yesterday afternoon and overnight. Due to localised flooding, all 6000+ schools in the city were closed today. Consequently, students spent the morning attending to their laundry and completing a twenty question Treasure Hunt composed by Ms du Plessis. 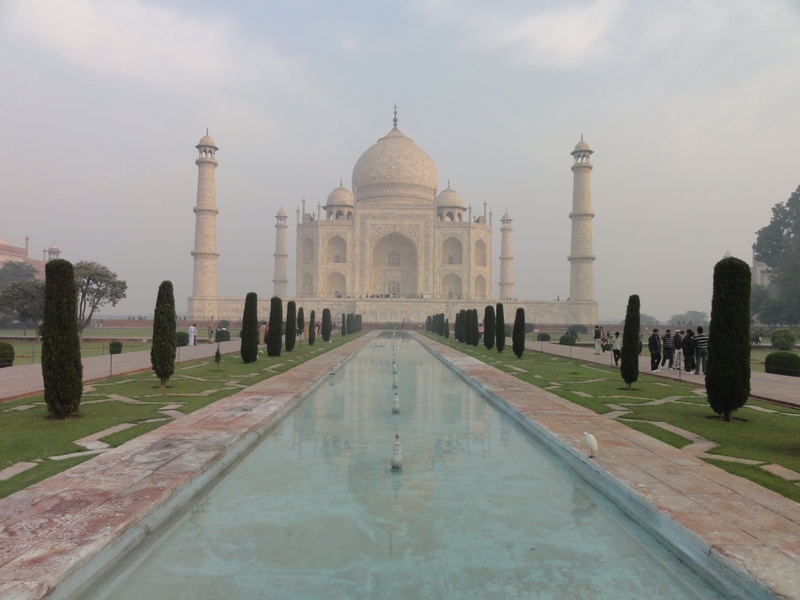 Hopefully, the students have learnt a little more about India such as three differences between the North and South, the significance of the Taj Mahal and why Gandhi is such a prominent historical figure. Top marks to Harriet Allan who discovered that the word catamaran originates from the Tamil word kattumaram which means ‘tied logs’. Our plan to see a Bollywood movie did not work out so we saw the final instalment of the Twilight saga (and what a saga it is!) instead. The experience of being in a cinema of people cheering Taylor Lautner and the demise of the Volturi (that turns out to be a premonition) is a spectacle to behold. It was well worth the $2.40 ticket! We finished the afternoon with a visit to a local shopping centre, another stop in the Treasure Hunt. Tomorrow the schools are expected to reopen so we will visit the Presentation schools at Church Park.